"He taught me Kung Fu and medical knowledge…"
"I can teach you Kung Fu and medical knowledge too. Also, I’m more of an expert than he is, you should learn from the best teacher…"
"We… We grew up together and we’ve gone through the ups and downs together…" She continued to mumble. The person went silent and pondered. A warm energy was transmitted into Gu Xijiu’s body via her hands. The energy was circulating in her body and then gathered at the injury below her ribs. The pain was slowly subsiding and had eventually faded. She had no idea how long she had gone through the pain after waking up from the nightmare. She quickly opened her eyes and saw the bed drapes in her own room. The sky was still dark outside and she was the only one in her room. She was idling on her bed for a moment. She recalled someone entering the house and talked to her! Was she dreaming? She jumped off from the bed and took a quick check in her room. However, she did not manage to find anything foreign. She pondered and then undid her pajamas to check on her injury. She noticed that the bruise was still there but she could not feel the pain anymore. She then checked her internal injury and realized it was nearly fully recovered. She could even operate her internal force smoothly. She was still idling for a short while. She was wondering whether it was the outcome of her meditation last night or that someone had entered her room to treat her. The first one who appeared in her mind was Di Fuyi; she was shocked! Was he the one? If he wanted to save her, he would have come earlier instead of entering her room secretly at night. That did not sound like him as he always liked to promote his good deeds. If he was not the one, would that be Long Siye? As the night was too quiet, she felt a sharp pain every single time she thought of that name and refused to think about it any further. However, tonight, she thought of him a lot. 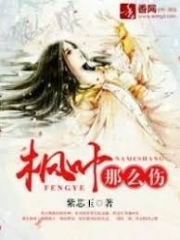 He used to trick her and almost killed her to save Ye Hongfeng, so how could he intend to save Gu Xijiu? Suddenly, she recalled her dream. Her body stiffened instantly! She should not keep thinking about the past as she got depressed every single time she thought about it. She looked out of the window and smiled. Those days, Long Xi was so gentle to her and told her that her focus was to rest properly. She thought he was being caring and she felt so in love at that moment. She laughed softly. She was either laughing at herself or Long Xi. After a short while, she began to check her own body. She was familiar with Long Xi’s treatment, and could identify it if he was the one who entered her room just now. A moment later, she exhaled in relief. It was not Long Siye! When she was sighing, the servant knocked on the door from outside, "Master, would you like to wash up and get ready now?" It was already four o'clock in the morning! Di Fuyi would be here soon! She took a deep breath and jumped down from the bed. Everything irrelevant had been left behind. From now onwards, she needed to focus and escape from the Dark Forest! 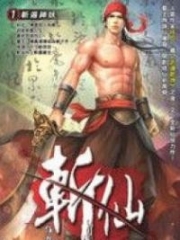 You're Read Venerated Venomous Consort Chapter 385 online at NovelOnlineFull.com. You can use the follow function to bookmark your favorite novel ( Only for registered users ). If you find any errors ( can't read,broken links, can't load photos, etc.. ), Please let us know so we can fix it as soon as possible. And when you start a conversation or debate about a certain topic with other people, please do not offend them just because you don't like their opinions. Current Time is 24-Apr-2019 00:13:06 AM.